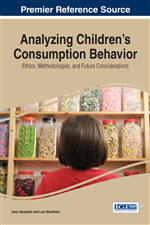 Chapter 5 explores the main features contributing towards the formation of living brand among children within the age 10 to 12-year-old by using a fuzzy logic analysis. From this methodological approach, several interesting insights emerge with regard to children's consumer behaviour, especially the factors of future anticipation, ritual, and autobiographical memory in the priming of the development of a living brand. In this chapter, we are going to expand on the discussion by identifying the antecedents of a successful product using Indonesian market segment from the same age group as the research subjects in Chapter 6. Some of the important elements for success in the children's segment that we identify here include brand personality, brand trust, and brand salience, particularly on how each of them affect brand relationship. When combined with autobiographical memory and buying habituation, this emotional bonding results in brand loyalty. Finally, we utilised a neural network topology in order to fully understand the antecedents of brand loyalty construction within the children's market. The importance of children’s market as a substantial opportunity for marketing research has been recognized by researchers from both developed and developing economies. In the U.S. alone, the market value for products and services aimed at the children’s market is estimated at USD 51.8 billion. Children is still considered to have high purchasing power due to the support of parents and other relatives (e.g. the children pester power), although these children do not spend their own money. This becomes a notable characteristics of children market since the market is both large and highly susceptible to promotional messages (Yusuf, 2007). It also appears that when children are hooked to a particular brand or product, they develop an intense emotional attachment. This attachment leads to greater chance of securing customer loyalty. These children may undeniably become an ambassador as the persuade their friends of the value for such a brand/product. It means that the children then act as a promotional tool themselves. There are three identified distinct segments within the children’s market, i.e., the primary market, the influence market, and the future market (McNeal, 1992). In the case of the primary market, children are targeted as end users; which makes its appeal to parents, people involved with children, and children themselves. On the contrary, the future market targets children as a potential market in a not so distant future. In this chapter, we focus our study on children between 10 and 12 years old. This group of age is categorised as within school age (Erickson, 1950). During this stage of life, children are considered to be generally familiar with their social obligations and tend to behave properly. When this is seen from moral perspective, children are considered to have developed such maturity that enables them to distinguish between good and bad, and can recognise the differences among peoples and cultures. Acuff and Reiher (1997) explained that children within this group of age are at the beginning of their brain neuron development. The consider that during this range of age is a crucial stage in the development of children’s capability to perceive their environment and to adjust their own thoughts and behaviour. This results in children’s ability to fit into an environment. Children, at this point, are prone to influence from role models such as teachers, parents, spiritual leaders, celebrities, and sporting figures. In other words, the children’s susceptibility also means they can be easily impressionable. At the same time, when the children asked simple questions, they are considered to be sufficiently mature to understand such questions, and able to give answers. It shows that they are capable of participating in a research. Children in this group of age are able to remember previous events and to take their memories into adulthood (Acuff & Reiher, 1997), which suggests that marketers should create positive feelings towards their products if they seriously want to promote future loyal customers. Lindstorm and Seybold (2007) observed that since this particular behaviour of children occurs through a shift in the dominance of the right brain to the left brain, it makes them capable of reasoning, and can provide an explanation for all of their actions, good or bad. Consequently, similar to our approach in the previous chapter, the research sample for the study reported in this chapter are children within this age group of 10-12 years old. This age group undoubtedly serves as a significant market segment and it is essential, therefore, to perform a research on children’s intention to buy, how they influence their parents, and the features that act as antecedents of long term memories. Marketing strategies adopted by service providers and other sources of appeal to children as customers are some other substantial dimensions. These are the areas of intelligence required to determine how brand loyalty is developed in the children’s market. One of the characteristics of the children’s market is that some products demonstrate exceptional longevity; while others fall short in maintaining their successful venture, and despite the exorbitant advertising campaigns, they swiftly fall into oblivion. This is a clear sign of the underlying dynamics within this market, and raise the need for identifying the factors that enable products to sustain their popularity and to optimise their presence.